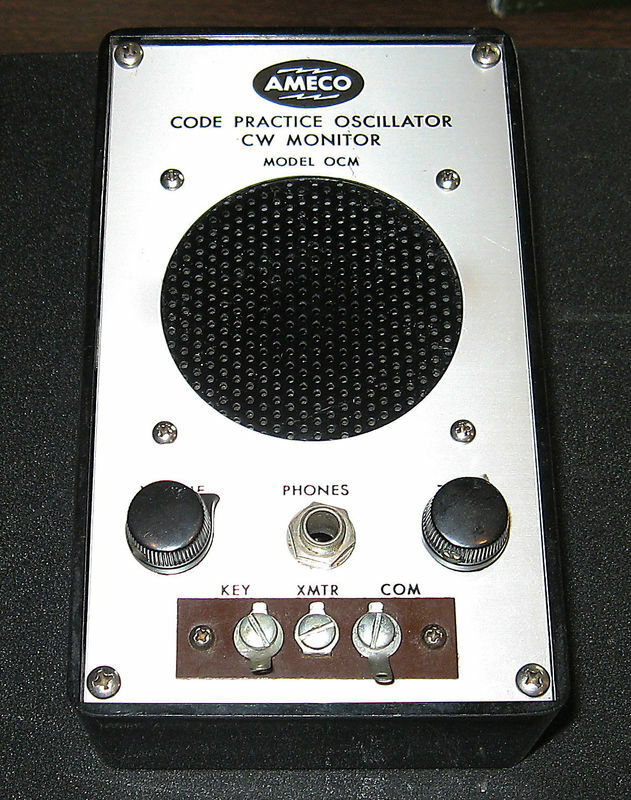 This model OCM code practice oscillator (CPO) from 1969 looks like an updated version of the model OM CPO listed in the 1968 ad on my AC-1 page. 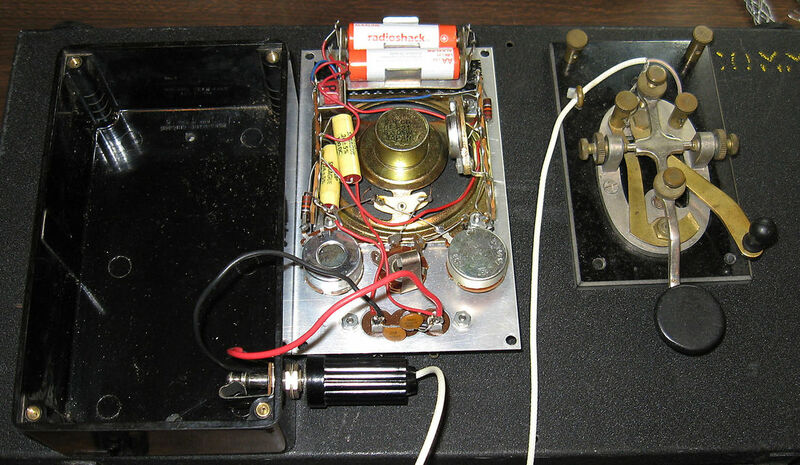 Ameco made several models of code practice oscillators over the years and this particular one is transistorized and can also be used as a CW monitor. 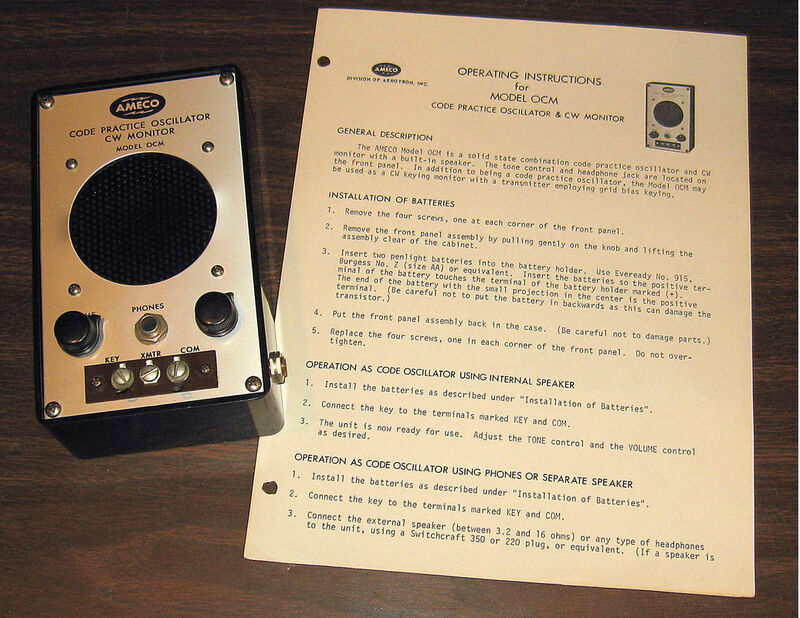 There is also a later, easier to find, model OCM-2 out there, but it used a 555 timer IC. It's in good condition, just dirty and has a few small scratches. It didn't work when first tested but that was due to some corrosion on the battery terminals. After cleaning those it works fine. I also found the original two-page instruction sheet for it. The instructions say the CW Monitor function doesn't work with cathode-keyed transmitters like the AC-1. Seems kind of odd it wasn't designed to work with their own Novice transmitter. Didn't need to do much inside other than cleaning the battery terminals. All the capacitors are non-paper types and still good. Looks like someone did add a 1/4" phone jack on the side for the key, instead of using the front terminals. The jack is much more convenient than the terminal screws. The picture shows my J-38 key plugged into it.